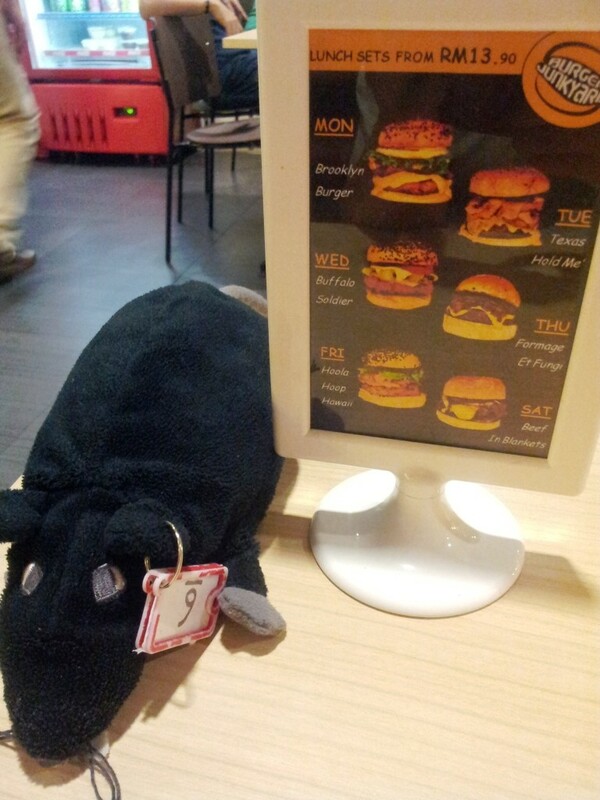 After a long day at work, I decided I need a good hearty meal to fill my growling tummy… But, hub and I were kind of unsure where we would like to eat and we were throwing the decision back and forth. 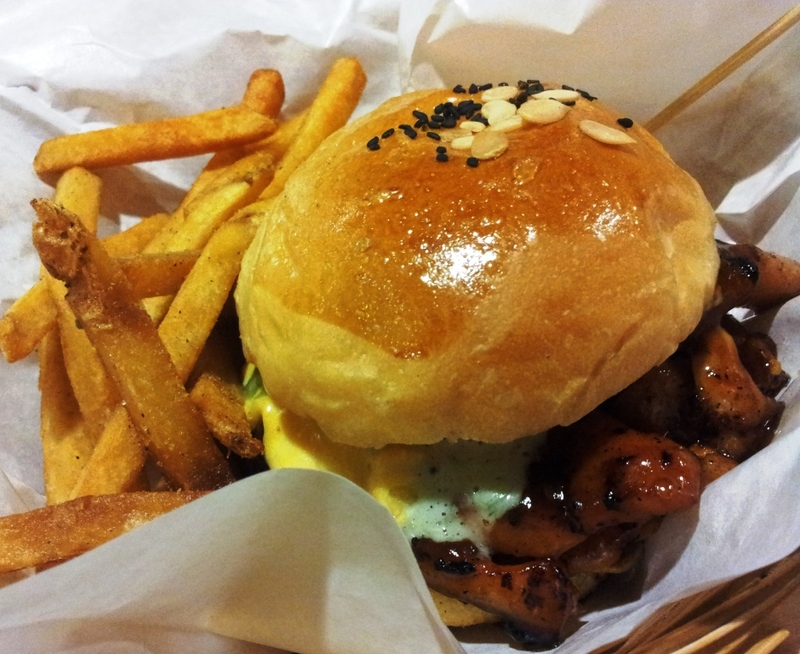 Then, I recalled my brother-in-law mentioning about this burger place in Kota Damansara and thought that perhaps it was a good night to give it a try. This restaurant is quite easy to locate if you are familiar with the Strand (Kota Damansara). Thankfully, this area is pretty deserted at night and locating parking is a breeze. Afternoon crowd is CRAZY around this area and it’s near impossible to get a space. There’s probably 3 restaurants for every 5 shops in this area. Our Rat waiting with us. The lunch set seems pretty decently priced. Our burger got served pretty quickly. I think we only waited about 15 mins. Hub got the Buffalo Soldier. The chicken was really nice and juicy. I love that they are using the whole thigh instead of mince chicken / chicken breast. The sauce is a wee bit overpowering. I think I would have prefer some salad in it to give it another layer of taste and texture…But, it’s just me. Did I mention that the fries are really good? Almost chips-like. And, I love how rustic the fries looks with the potato skin around the edges. One of our friend decided to join us and she got a half size (90gm patty) Vampire Slayer. Basically, garlic garlic garlic. I think it’s ok. But, the garlic is overpowering the poor beef patty. Somehow I felt that the patty is the supporting star and the garlic stole the show. I would have added baby spinach on this baby. That might have bring back some balance and draw the palate back to the fresh sweetness of the beef patty. 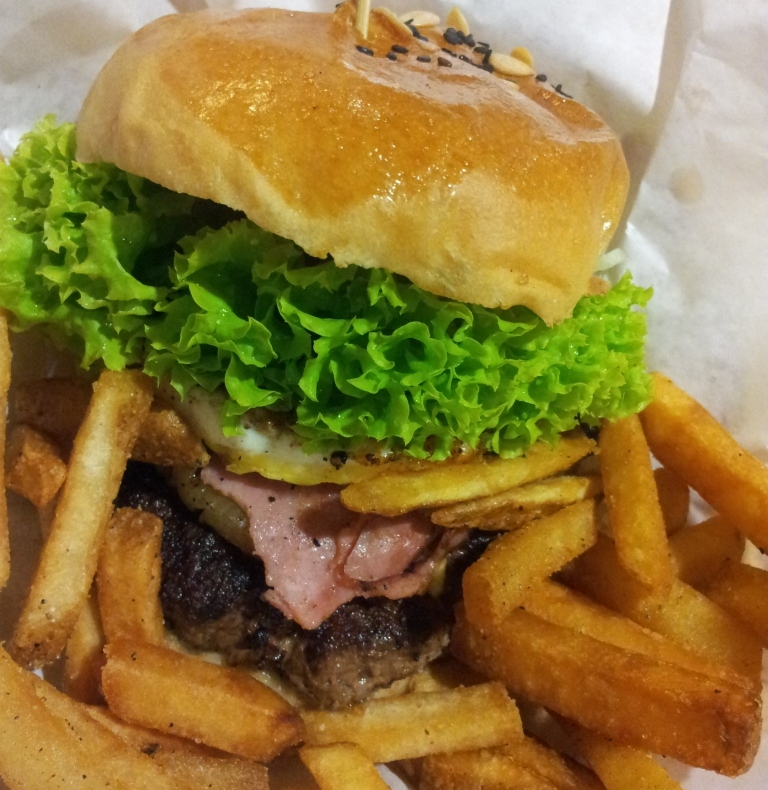 Overall a good burger joint. 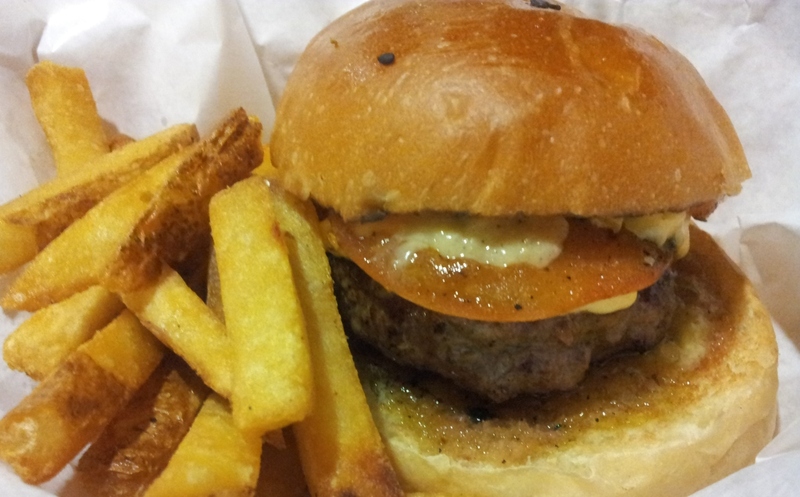 Would definitely return to try some of their other burgers in the menu… perhaps the fromage et fungi ? !